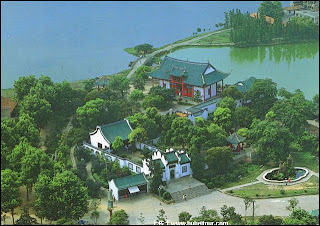 Guqin Tai (古琴台) locates on the west of Gui Shan (龟山), and the south of Yue Hu (月湖). It's only a small place, but it never failed to attract visitors from all over the country. For most people, going there is mainly for a story of thousands of years ago. Guqin is a kind of Chinese music instrument, and Guqin Tai is often translated as "Heptachord Terrace". The story was originally recorded in the book of Lie zi. "Bo Ya was good at playing the qin. Zhong Ziqi was good at to listening to the qin. When Bo Ya's will was towards high mountains in his playing, Zhong Ziqi would say, 'How towering like Mount Tai!' When Bo Ya's will was towards flowing water in his playing, Zhong Ziqi would say, 'How vast are the rivers and oceans!' Whatever Bo Ya thought of Ziqi would never fail to understand. Bo Ya said, 'Amazing! Your heart and mines are the same!' When Ziqi died, Bo Ya broke the strings [of his qin] and vowed never to play [the qin] again. Thus, there was the melody of High Mountains Flowing Water." Guqin Tai was first built in the Northern Song Dynasty, and then experienced destruction and reconstruction for many times. What we can see now was built after 1949. This story shows China's traditional attitude towards friendship that friends should know each other by heart and there's a tacit mutual understanding between each other. But that kind of friendship is always a rare thing. The people of Hubei are called “nine-headed birds (九头鸟)” by other Chinese people, with the saying of “天上九头鸟，地上湖北佬。”which, in wikipedia, is translated as "In the sky live nine-headed birds. On the earth live cunning Hubei people." (See Hubei in Wikipedia.) But the Chinese sentence does not have any word that means “cunning”. So the emotion of this sentence is rather vague. It can be both complimentary and derogatory. On the positive side, the nine-headed bird stands for aggressive, acumen and competent, and on the other side, it has the sense of cunning. Some Chinese use “nine-headed birds” to show their dissatisfaction to Hubeiness, however, some Hubeiness are very proud to call themselves that name. The character of Hubei people is thought to be the outcome of Hubei’s geographical position. 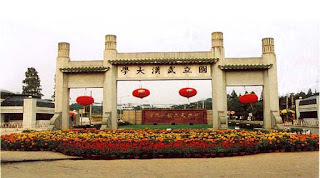 Hubei is called “The Thoroughfare to Nine Provinces (九省通衢)”, and here gathers people from all over the country. 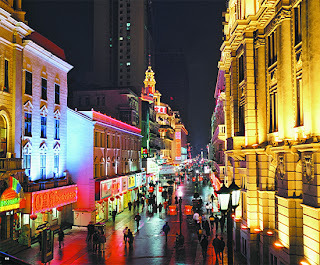 Wuhan used to be a center of politics and commerce of China half a century ago. And the city character is shaped by the flourishing small business. P.S. Blogspot is unblocked in China. Bingo! In just a few years, this day becomes a hot festival in China, especially in campus. In the Chinese language, a single man is called "光棍", which literally means "bare stick", and the Arabic number "1" is very much like a bare stick in shape. As 11.11 has 4 “bare sticks”, the day becomes single guys' day. In this day, single guys would like to eat out together, and some guys are encouraged to say "I love you" to girls of there hearts. Now this is not a day just for guys, sometimes single girls would also do some thing for fun. This day has no traditions. It's a day of youth, a day for students. Sorry for yesterday's mistake. I've deleted the wrong post. It's really annoying to use proxy! And I'm preparing for some exams, so my updating is slowed. Blogspot.com is now blocked by the most notorious GFW that it can’t be directly visited from the mainland of China. But I do not have the plan of moving my blog to another place. As the violation of the rights of netizens are becoming increasingly severe, Chinese netizens should learn to use proxy software to anti-block. But all pictures will be missing. Hope pkblogs won't be blocked by GFW someday. Today I’d like to write something about snack restaurants. 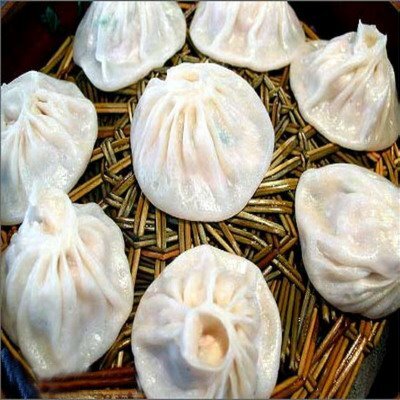 Dianping is a website where netizens give marks on restaurants, and here is the Wuhan page. I can find something interesting there. Here are some general comments on the most famous snack restaurants (So-called Time-Honored Brands). Many people from other places would like to go to cai lin ji to have a bowl of re gan mian “for the sake of the old brand”. But “the taste is getting worse”, some branches are “no better than carts along the streets”. And ironically the dou pi and dishes are “not bad”. One of Wuhan’s most famous snack restaurants where used to full of “attracting smell of meat”. Now the restaurant is still there, but the tang bao is different, “blemishing the name of such an old brand”. You can’t tell “whether it’s the degeneration of si ji mei or ourselves becoming pickier”. Dou pi and soup of lotus root and chops are not good in appearance, but the taste is good. From these comments, we can see the downfall of those time-honored brands. I once read an article about the phenomenon. The author said that he loved those foods when he was a child, but as time goes by, they can no longer attract him, for we are living in a time of fast-changing, but those foods still remain the mark of the time of shortage: large size, too greasy, fitting those who often have the feeling of hunger. There are some other restaurants that are popular today. “Noodles are thicker than normal”, pasts are “pure and good-smelling”, and “ a little bit sweet”, unlike those re gan mian in streets that the flavor of which is thickened only by salt water and soybean paste. The environment “is not good” and you “can’t find a seat” but the "business is very hot”. 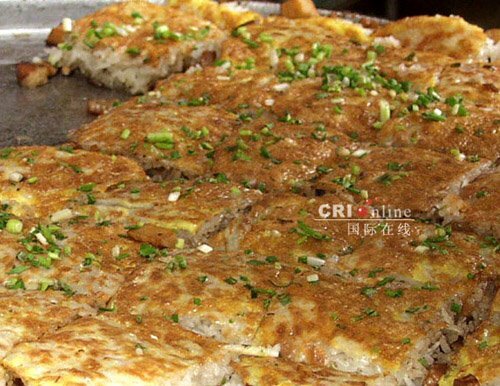 And hu bu xiang (户部巷) is a well-liked restaurant where all kinds of typical local foods are supplied. So if you ask me where you can find the most genuine local snacks, I can hardly give you an answer. Maybe it depends on your fortune. And if you find something delicious here, enjoy it! If you refer to a dictionary, ma mu(麻木) means numbness, torpor, stupor, and something like that. But strangely enough, Wuhaness use this word to call “tricycles for hire”. Tens of thousands of ma mu used to be a distinctive feature of the city. But in the year of 2003, all these ma mu disappeared. There are some tales about how the name “ma mu” came out. A relative credible one is that early rickshaw drivers (more than half a century ago) loved to drink, and often got “ma mu”, so both the vehicles and the drivers were called “ma mu”. This word once disappeared with the extinction of rickshaws, but revived about 20 years ago as tricycles emerged in the city in the late 1980s. And because of cheap fare and the very convenience, the number of ma mu increased swiftly in the 1990s. There were two types of ma mu in Wuhan: the engine-powered auto rickshaw (dian ma mu 电麻木) and the man-powered pedicab (tu ma mu 土麻木). Usually, ma mu drivers were either laid-off workers or city immigrants from rural places. The job could never be easy. 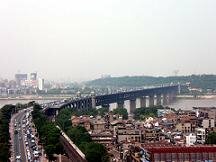 Wuhan climate often go extremes: the temperature can be higher than 40C in summer and lower than 0C in winter. The drivers had to work in streets all day long, only to earn a basic living. Most ma mu drivers were not well-educated and do not quite follow traffic rules, (in fact, large numbers of Wuhaness do not quite follow traffic rules), and many of them couldn’t afford, or for some, were not willing, to pay for a license, and had to play the game of hide and seek with traffic cops. The government always wanted those numerous ma mu to be regulated. Though new documents for regulating ma mu came out almost every year, the effect was little. In 2003, the government finally resolved to completely ban ma mu. All ma mu must be handed in by a deadline, with some compensation in return. Only those with disabilities could own tricycles, and business not permitted. The flag-fall price of taxis was lowered to 3 yuan, so that taking a taxi in a short distance became much cheaper. Just in a few weeks, not a single ma mu could be found in streets. “Ma mu” once again became a word in history.